Considering selling your house quickly in Liverpool? It can be daunting. But with the help of Accelerate Homes, it doesn’t have to be. Accelerate Homes partner with many of the UK’s most trusted residential cash property buyers. Our partners offer a transparent and honest approach that has seen them help thousands of satisfied clients achieve a fast and equitable sale. After a decade in the business, we have developed efficient processes with our partners and the financial capacity to buy your house in Liverpool quickly for cash. Why wait months, when you can have a full sale in weeks or even days! Read on to discover how you can sell your house fast in Liverpool with a leading quick home buyer. We understand that the need to sell your house quickly can be an urgent necessity. While traditional selling routes, including estate agents or private sale, typically achieve the best possible price, quick home buyers can guarantee a complete and final sale in as little as seven days. That’s fast cash in your hands. 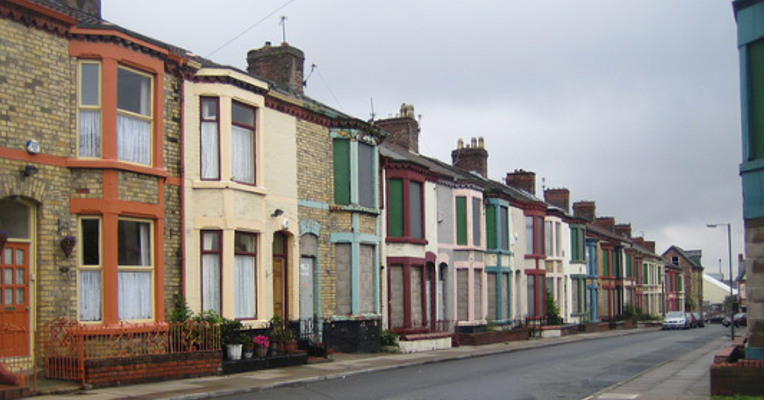 The average house sold through an estate agent in Liverpool is on the market for seven months. That’s a total of 204 days, plus four additional weeks to finalise the sale. On top of this, estate agents charge transaction and solicitor fees, which can be a real burden especially if you’re struggling to meet mortgage repayments. If your goal is to sell your house fast, then estate agents just aren’t the answer. An auctioneer can speed up the process, but they’ll charge you ‘through the roof’, and they can’t guarantee your desired price. Your return is unpredictable, and from our point of view, auctions aren’t a risk you have to take. In this case, a cash buyer is a perfect solution offering a quick, hassle free sale. Of course, not every cash buyer is legitimate. Regulatory bodies including the Financial Conduct Authority (FCA) and the Office of Fair Trading (OFT) do their best to debunk the market. However, there are still some scammers out there. To keep yourself safe, we advise reading our comprehensive guide on avoiding quick house buyer scams. Be assured that our partners operate to the highest standards of practice as set out by the National Association of Property Buyers (NAPB), and subscribe to the Office of Fair Trading (OFT). Our partners are also active members of The Property Ombudsman and are serious about providing maximum clarity and confidence throughout the sale process. The first step is easy. Simply pick up the phone or enter your details here. We will immediately connect you to one of our friendly cash property buyers who will contact you within 24 hours. They’ll discuss your needs, and provide honest and impartial guidance according to your individual circumstances. They’ll work to find a solution that best suits you and offer an initial estimate of your property value. The initial estimate is determined using data on the current local real estate market, in combination with custom property valuation tools and experience in buying property in Liverpool. Selling your home is an important decision, and we understand you may need more breathing space. We encourage you to ask as many questions as you need and take as much time as you feel comfortable with. Our partners will never pressure you to sell. When you’re ready, the buyer will send a surveyor from the RICS (Royal Institute of Chartered Surveyors) to your property to provide an independent valuation. The buyer will cover the cost of the RICS report and associated fees. Following a review of the RICS report, the buyer will finalise our formal offer. Once issued to you, the final offer will never alter, unlike some unethical cash buyers in the marketplace, who reduce their offer after exchanging. It is important you are aware that at this point, you are by no means obligated to proceed, and you will not be liable for any administration fees. If you choose to accept the formal offer, our partner will proceed with paperwork and arrange legalities. If you wish, you may select your own solicitor at their expense. At this point, you can also choose your preferred completion date. Typically, sales are completed in 28 days. However, our recommended buyers have the means to accommodate nearly any timeline. Sell House Fast Liverpool – What makes us unique? Accelerate Homes partner with a select group of reliable cash buyers who can assist you through the entire sales process. But, what sets us apart? Our partners buy any house in any condition: It’s as simple and straightforward as that. Our partners live by the slogan – we buy any house, in any condition. Whether your house is old or new, pristine or falling to bits, our partners will buy it. No expenses: Our partners charge no admin fees, no valuation fees, no survey fees, and no legal fees. You will never be asked to cover any costs when using the service of our partners. Your timeline is our priority: We believe no one should have to wait to move on with their life. Whether you’re in urgent need of cash, or you need a specific sale date, our partners are here to put your timeline first. Private and confidential: We eliminate the need for expensive advertising, imposing sale boards, and disruptive inspections. All our dealings are confidential because sometimes the whole world just doesn’t need to know you’re selling. No chains, no lenders: Our partners have access to significant cash funds. Therefore, they don’t use any third party lenders or participate in house chains. This removes the risk of a transaction falling through. It also means they can get you the best possible CASH price for your home! 24 hrs a day: Selling your home is tough, and our partners take their duty of care seriously. Their caring teams are available anytime you need them for support or guidance. There is a multitude of reasons why you might need to sell your Liverpool house in a rush. Below you will find a small selection of reasons why customers seek our help. Please feel free to contact us if any of these reasons resonate with you. Financial hardship: If you’re facing financial hardship or potential repossession of your home contact us immediately. We can connect you immediately with a reliable cash buyer who can help by buying your house, clearing your debt and helping you move into a new home. Moving abroad: Are you chasing the sun? Maybe you’re just about to start a new job? If you’re moving abroad and wish to sell your house fast, our partners can have you on a plane, and in your new home within a matter of days! Inheritance: Have you recently inherited property, but wish to liquidate the asset as soon as possible? Our partners can help have the house sold before you know it and save you time and money. Divorce or separation: Divorces and separations are difficult enough, without the added stress of selling your shared property. Let our partners deal with this one so that you can move on swiftly and cleanly. Former Investment Property: Are you sick and tired of managing tenants and no longer want the hassle of being a landlord? Whether the property has tenants or not, our partners can take the burden away within a matter of days. Caught up in a scam: Have you been the victim of a quick house buyer fraud? Try not to stress. Our partners can help. Just give us a call or fill out our online registration form and you’ll be speaking to one of our partner’s helpful representatives in no time. Aigburth. Aintree. Allerton. Anfield. Bebington. Bidston. Birkenhead. Bootle. Bowring Park. Brighton-le-Sands. Broadgreen. Childwall. Claughton. Clubmoor. Crosby. Croxteth. Edge Hill. Egremont. Everton. Fairfield. Fazakerley. Ford. Garston. Gateacre. Grassendale. Greasby. Great Crosby. Halewood. Higher Bebington. Hunts Cross. Hyton. Kensington. Kirkby. Kirkdale. Knotty Ash. Knowsley. Litherland. Liverpool city centre. Moreton. Netherley. Netherton. New. Brighton. New Ferry. Norris Green. Orrell Park. Page Moss. Port Sunlight. Prenton. Prescot. Princes Park. Sandfield Park. Seaforth. Sefton Park. Speke. Stockbridge Village. Stoneycroft. Tarbock. Thornton. Toxteth. Tranmere. Upton. Vauxhall. Wallasey. Walton. Waterloo. Wavertree. West Derby. Whiston. Wirral. Woodchurch. Woolton.